Who is Dragan Bender? The 7'1" teenager known as The Stork has the tools to become the NBA's newest Croatian sensation. 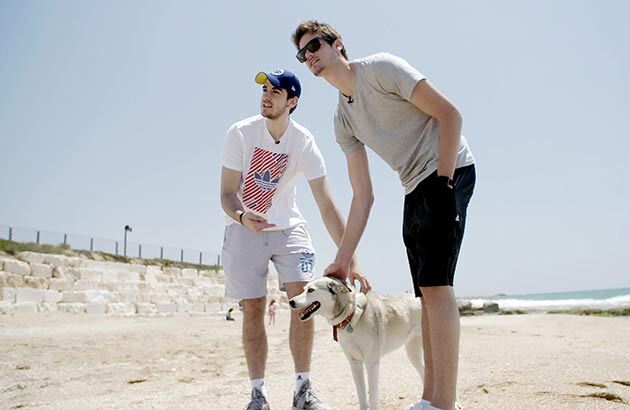 On May 17, the evening the NBA draft lottery is held in New York City, two giant brothers are at Tel Aviv's Ben Gurion Airport, waiting for two parents and two suitcases to come off a flight from Zagreb, Croatia. The brothers have obtained special permission to pass through security in order to help their parents, who speak neither Hebrew nor English, navigate the airport. But the brothers are also deeply interested in taking possession of the aforementioned suitcases. "It's like we're waiting," the older one says, "for some money or some treasure." 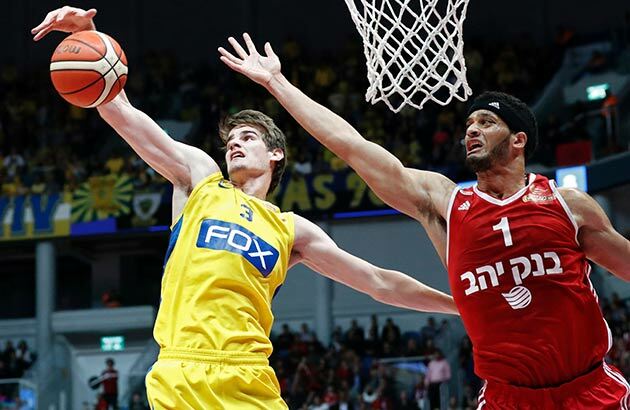 The younger brother is Dragan Bender, an 18-year-old, 7'1" stretch power forward playing for Maccabi Tel Aviv and the top European prospect in the June 23 draft. The older brother is Ivan Bender, a 20-year-old, 6'9" forward on summer break after his redshirt freshman season at Maryland. The suitcases are normal in appearance, black and green, but they hold cargo that isn't exactly common in Israel: a not insignificant quantity of tasty pork products, vacuum-sealed in clear plastic. Bacon, ham and pršut​, the Dalmatian coast's version of prosciutto, all from the Benders' home-and-backyard meat-curing operation in Čapljina​, a town of 28,000 in Bosnia and Herzegovina, just across the Croatian border. "Natural weight-gainer," is what Dragan calls the pork. In his quest to add bulk to his 225-pound frame, this is preferable to the super-sized bag of Serious Mass powder on the kitchen counter of his two-bedroom Tel Aviv apartment. Upon arriving there from the airport, the brothers fill Dragan's fridge with meat. Their father, Rafo, works for Croatian Railways as an engineer, and their mother, Bernada is retired; their chief family traditions are growing their own vegetables, baking their own bread, curing their own meat and, as Dragan puts it, "respecting the meaning of those things." This pocket of family time, one month before the draft, before Dragan and some NBA team split a $1.3 million buyout of his Maccabi contract to bring him Stateside, is keeping Čapljina on the Bender boys' minds. • 2016 NBA Big Board: Where does Dragan Bender rank in top 60 prospects? Two days later, Dragan drives his white Nissan Qashqai with the LEASE4U door decal home after a workout at Maccabi's arena. The Tel Aviv skyline unfurls to his left—Miami-style condo towers, old-world concrete low rises, the gaps in the buildings providing split-second reveals of the Mediterranean Sea's noontime shimmer—and Ivan is in the passenger seat, explaining a pork-curing process that has been passed down through generations. It begins in late November when the weather turns cool enough. The Benders make a trip to the local pig farm, where Rafo and his brother pick out two or three hogs. "In my opinion the best pig is which one is heavier, around 200 or 250 pounds," Ivan says, in the English he's refining at Maryland. "You'll get better bacon from that." The pigs are killed and bled out at the farm, then taken to the Benders' basement for butchering. Dragan and Ivan were last present for this when they were 11 and 13—the year before they were discovered as prospects and left home for Split to begin training at the basketball academy of Croatian star Nikola Vujčić. They would be enlisted to help fill hams. "We [would] challenge each other," Ivan says, "like who is gonna make the best one without cutting off or breaking a piece." They would later sea-salt the cuts of meat; dry it in the northeasterly wind called the bura, and cold-smoke it in the smokehouse in their backyard. The true delicacy requires the most patience. "The best pršut is over one year," Ivan explains, "and when someone says, 'Do you want to try our pršut that's two years old?' you know that it is [ready] to be tasted." In the bizarro meat market that is the NBA draft, teams are unwilling to wait for pršut that has sufficiently aged; instead, they speculate on fresh cuts—and Dragan, at 18 years and seven months, is the youngest of the projected lottery picks. 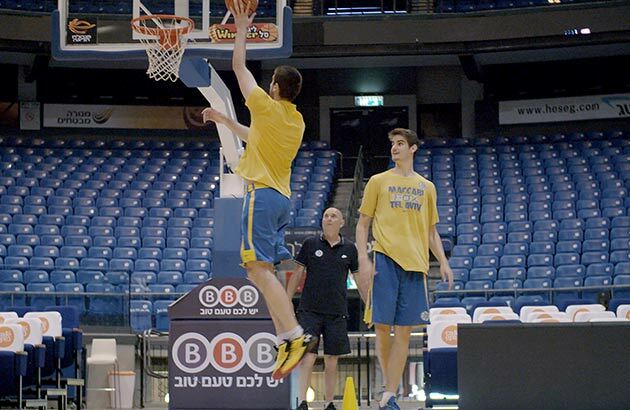 A workout like the one two days after the lottery, with Dragan and Ivan training at Maccabi's Menora Mivtachim Arena with Mladen Sestan, the 57-year-old Croatian skills guru who discovered them, and has followed Dragan to Israel, is a vital stop on the draft-reporting circuit because game-scouting opportunities have been so limited. Bender averaged just 12.9 minutes for Maccabi this season (and 10.5 minutes in Euroleague play), making just three starts. He also missed last summer's FIBA U19 World Championships due to a regrettable stalemate between his shoe sponsor, Adidas, and the sponsor of the Croatian national program, Jordan Brand, which refused to let him play in non-Jordan footwear. The understandable predraft question hanging over Bender, then, is how someone who can't crack a starting lineup of an Israeli Super League team, and who hasn't appeared in a major international competition since 2014, can be a serious candidate for a top six selection in the NBA draft. The answer begins with what's evident on the court: Bender is 7'1" with a 7'2" wingspan and can gracefully move on the perimeter as a pick-and-pop guy, a ballhandler and a sliding defender; he has a competent (but not deadeye) three-point shot; and he has an advanced feel around the basket, despite lacking the bulk to do damage in the NBA paint. While not a spectacular athlete, he is a smooth one, and he has the potential to be the kind of New Age big man that the league currently covets. There is no other 7-footer like him in this draft. Furthermore: Those who were present for Bender's breakout in the summer of 2014 in the remote location of Konya, Turkey—I was the lone member there from the U.S. media—saw him in a role that suggested he was Europe's most interesting young playmaking giant. Bender was 6'11" then, a 16-year-old playing for Croatia against opponents one or two years older in the U18 Europe A-Division championships. He grabbed rebounds and threw long, baseball-style outlet passes that dropped into the hands of streaking guards. He handled the ball against full-court pressure and in pick-and-roll situations; he passed to cutters from the high post; he had impressive shot-blocking instincts that compensated (somewhat) for his lack of bulk. He was one rebound short of a triple double against Greece and one assist shy against Latvia. He had 34 points and 14 boards against a Lithuania team with 6'10" Domantas Sabonis, a potential top 20 pick in this draft out of Gonzaga, and afterward Bender carried Croatia's water bottles to its bus, because that was his duty as its youngest player. If you believe Bender is still capable of that stuff, that it's just been muted in a sub-optimal situation—on a struggling, grown-man-stocked Euroleague team that was under so much pressure to win that its coach couldn't allocate minutes to a kid, much less experiment with him as a playmaker—then you have faith that it can resurface in the right situation in the NBA. This is a conviction shared by Vujčić, who starred for Maccabi in the 2000s, founded his Croatian academy in '05, and then returned to Maccabi as a front-office employee in '13, bringing Bender with him by signing the kid to a seven-year contract. "[There are] two types of Dragan," Vujčić says. "One that is before he came to Maccabi, and then one at Maccabi.... Maccabi is not an easy environment for somebody like a kid. Because here only what [matters] is the result. We want to win tomorrow's game, not what will be in three months, especially not what could be in the future.... So I believe Dragan will [eventually] get the freedom and people will not limit him to do his stuff. He's going to be unbelievable. Because even now you see some practices, and workouts, [that] this is the deal." The brothers' workout at Menora Mivtachim Arena has three nonjournalistic spectators: Vujčić; Bender's father; and Maurizio Balducci, Bender's Italian agent. Balducci is wearing a Lakers T-shirt, and though Los Angeles has the No. 2 pick, he says not to read into it: "I cover myself in glue, jump into the wardrobe and see whatever sticks." Sestan is having the Benders post up against each other, receive entry passes and execute baby hooks. "If you are not asking for the ball, I will hit you in the head with it," Sestan says in Croatian. "But if you ask, I will be patient." The plan, pending the approval of whoever drafts Dragan, is to have Sestan move with him to the U.S., live nearby and act as his skills coach, making what he calls "small corrections" after practices and games. 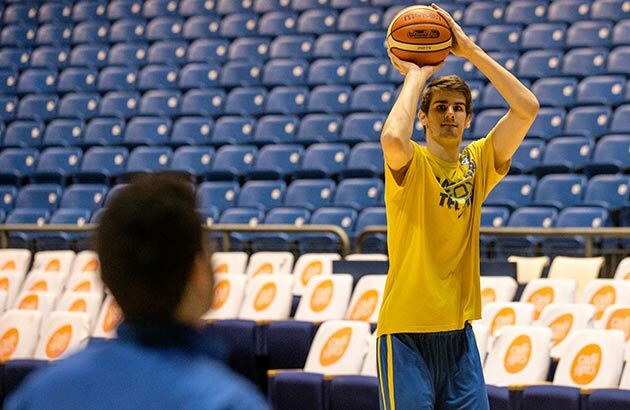 He supervised a complete overhaul of Bender's shot in Tel Aviv, and Bender made 36% of his three-pointers this season, up from 26.9% last year with Ramat Gan in the Israeli second division. As the brothers do shooting drills here, Rafo takes photos of his sons on his Android phone, smiling: It is the first time they've trained together since 2013, the year Ivan suffered the first of two ACL injuries that stalled his own promising career just as his younger brother began to flourish. Dragan's threes start to go in from the corner, and Balducci makes PING! noises as they fall. "The flamingo is flying," he says, happily. When the brothers collectively go cold for a stretch, Vujčić heckles them good-naturedly in Croatian. "Every time they laugh at us," Sestan shouts to the boys, "it makes us stronger!" A group of Americans enters the gym. They've traveled from Philadelphia, and they take seats on the opposite baseline. "This court is the holiest place in Israel other than the wall in Jerusalem," one of them says to the group. A cohort introduces him as "a scout for the Sixers," and then, as an explanation for why they both give off more of a rabbinical vibe, adds, "He's undercover right now." A few of the children in their group begin yelling over to Dragan, "Bender! Bender! Go to the Sixers!" The men acknowledge that they are, in fact, rabbis, on a trip with students from Abrams Hebrew Academy in Yardley, Pa. One of the rabbis, Ira Budow, a big Maccabi fan, is asked if he would advise the 76ers to draft Bender. "Nah," he says. "I've seen him play this year. Bender's good ... but he's not that good." This is no outlier stance among Maccabi fans, who have soured on pretty much everything this season after failing to reach the Euroleague's final 16 for the first time in 22 years. During the opening game of the Israeli playoffs later that night, roughly 95% of the section allocated to the Ultras 96, Maccabi's die-hard fan group, is empty due to a boycott over a proposed increase in ticket prices for next season. Among the few Ultras 96ers present is their de facto leader, Ilan Cerf, a 63-year-old who's nicknamed the Fox and has a left-shoulder tattoo that combines said animal with the Maccabi logo. His friend, Amit Shalev, translates thoughts on Bender into English. "The Fox says that Bender has good virtue," says Shalev, explaining that he takes time to thank fans, even after a blowout loss to a rival. "But he is not a good player in this league. The Fox asks why is the NBA interested in Bender now? What does a scout see that we the fans cannot see?" They're told that the NBA loves big men who can shoot and act as secondary playmakers. The Ultras peer down at Bender, who's seated behind the bench in a blue, long-sleeve Maccabi zip-up, was left inactive during the playoffs in favor of forwards in their late 20s and early 30s. "O.K.," says Shalev. "But right now, it looks like imagination." Dragan Bender is sitting on the couch in the living room of his apartment, which seems more like a real adult's place than an 18-year-old's—it's on the second floor of a high-rise in a tony neighborhood, it's clean, there are snacks in little dishes on the coffee table, there's a stack of English-language books on a side table that he's actually read (Twelve Years a Slave) or plans to read (The Art of Fielding)—and he's explaining why he prefers decades-old Croatian music. "Back in the day, I think songs were really meaningful," he says. "Today is just, Sell the song and make some money. Decades ago it was about some of the things that happen in your life and some of the things that bother you.... I just love the songs about some situation in life and how to resolve those situations." He only has a few games left in a season that has been humbling. He is heading to the NBA, and he is not necessarily ready. It is equally fortunate and unfortunate that NBA fans have no trouble imagining a wiry Euro 7-footer taking the league by storm, because 7'3" Kristaps Porzingis of Latvia became the most buzzworthy athlete in New York this season as a 20-year-old rookie. Bender is, in the eyes of multiple NBA scouts, more advanced than Porzingis at the same age, but the fact that Bender will debut at 18 will limit his immediate impact. And casting him as a Porzingis clone is a mistake. Porzingis is a pure-shooting, hip-hop-loving giant, while Bender is a playmaking cog whose primary hoops influence is even older than his music: Croatian legend Toni Kukoc. "I modeled my game after him," Bender says of the 6'10" lefty who debuted in the NBA with the Bulls in 1993, four years before Bender was born. A young Bender found VHS tapes of Kukoc at the Vujčić academy lodgings, and as Bender studied them, it made more sense why his youth coaches were challenging him to function as an oversized point guard. 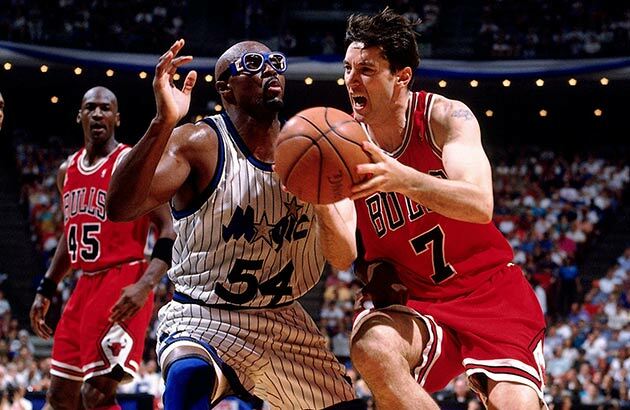 He was captivated by the style of Kukoc, a positionless creator who valued passing over scoring. Bender wore Kukoc's number 7 as recently as the 2014–15 season, when he was on loan to Ramat Gan. Bender cannot, however, mimic the career time line of Kukoc, who had eight seasons of European stardom and two Olympic silver medals behind him when he arrived in the NBA, not to mention multiple nicknames: the Spider of Split, Pink Panther, Croatian Sensation. He was a 25-year-old rookie, ready to be tasted. "Now is a different time for a young guy," Bender says, explaining that an NBA team might be a more preferable development situation for a teenager than an impatient Euroleague club. The sound of Dragan Bender is so exotic and menacing that he may have no need for nicknames in the U.S., but the one he's had since his Split days is Roda. It's Croatian for stork, a soaring, gliding bird that in this case—draft stock peaking, age be damned—has no better choice than to ride the westward currents.